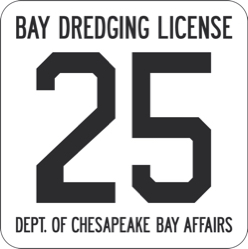 by the Maryland Department of Chesapeake Bay Affairs to skipjacks harvesting oysters in the 1960s. 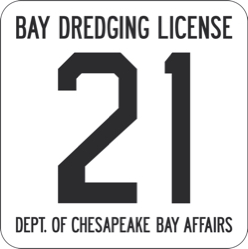 Each plate is screen-printed by the artist on 24x24-inch heavy-gauge aluminum and coated with a matte finish. 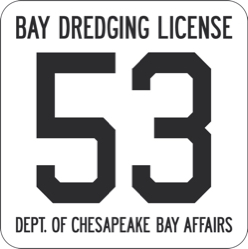 Below are the dredge license numbers of Eastern Shore skipjacks currently working the Chesapeake Bay. 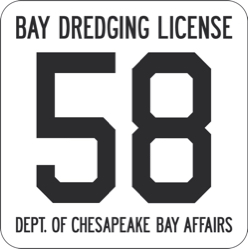 Custom numbers are available by request. 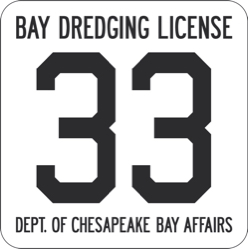 Please allow three weeks for delivery. 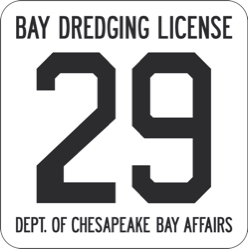 In addition to our nine standard dredge license replicas, custom numbered signs are available for $185. 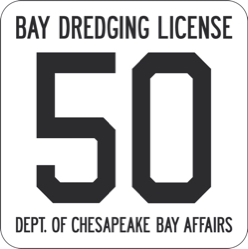 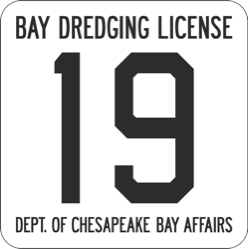 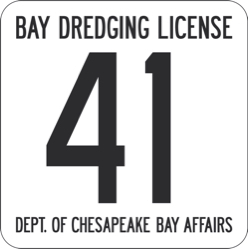 To request a custom numbered dredge license replica, please call 410-845-3774 or email erick@ericksahler.com. 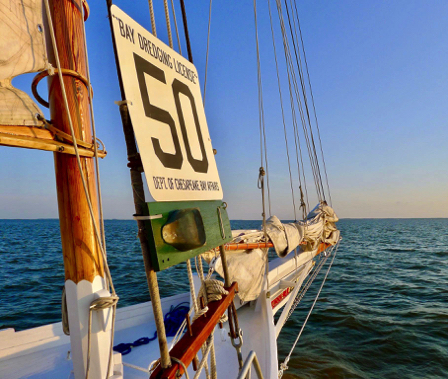 Our replica skipjack dredge licenses are the real deal. 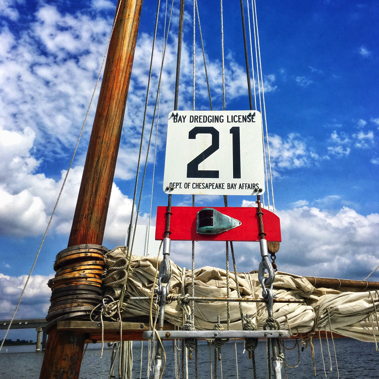 They are proudly mounted on the working skipjacks Kathryn and Minnie V of Deal Island, Md.